As fizzy drinks go, Diet Coke surely has to be up there with the greats; second only to the delight which is Dr Pepper IMHO. 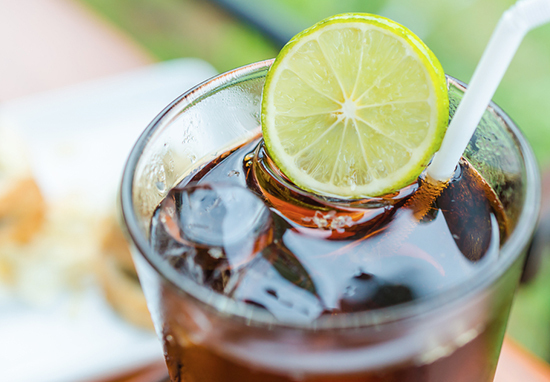 It’s a universal rule that everyone likes Diet Coke, a beverage which magically appears to go with – and enhance – many of your favourite spirits. And so by the time the weekend rolls around, many of us will find us chucking in a cheeky crate of the sugar-free, caramel coloured nectar as a pre-drinking essential. Seriously. Coupled with whiskey? Check. Stirred with vodka? Check. Mixed with rum… need I go on? It’s always so nice to get an unexpected bargain when out on your big shop, and that’s why you need to get savvy; following thrifty-focused Facebook pages in a way your mum would be proud of. Now the good people at Extreme Couponing and Bargains UK have spotted a fabulous Diet Coke steal at Tesco you won’t want to miss. The mammoth supermarket chain is currently selling monster crates of 24 cans of Diet Coke for a mere fiver. Five English pounds. Listen, I’ve been in some pubs down south where you would pay nearly a fiver for one Coke. One. Part of my soul bubbled clean away handing over that kind of cash, and here Tesco is, treating us to 24 cans for about 20p each. Absolute gents. Thirsty Tesco shoppers are understandably rather excited by this happy occurrence, taking to social media to share their Diet Coke purchasing plans. Am i really going into Tesco’s at 11:30pm to get some diet coke? Me and my dad just bought 72 cans of diet coke cus for some reason they’re dirt cheap in Tesco rn and only now do we realise that we don’t actually have anywhere to keep 72 cans of diet coke. Am i really going into tescos at 11:30pm to get some diet coke? This magnificent news comes just after it was revealed Diet Coke has overtaken classic Coke as the king of the fizzy pop world. We have recently invested significantly across the Coca-Cola range with new integrated marketing campaigns and new flavours of Coca-Cola Classic, Coca-Cola Zero Sugar and Diet Coke. We’re pleased to see these efforts paying off as we now have both the largest no-sugar cola brand (Diet Coke, Nielsen June 2018) and the fastest growing major no-sugar cola brand in Great Britain (Coca-Cola Zero Sugar, Nielsen June 2018). Our new Diet Coke flavours are performing well and are attracting new drinkers to the brand. Since launching in April, the new flavours have generated more than £7m in sales value. Now, life is expensive and frustrating and if you are anything like me you are currently rummaging for pennies in between sofa cushions from about now until pay day. So don’t squander this refreshingly frugal opportunity. And make sure to stockpile now as I hear they have just dug up a mysterious, cursed sarcophagus and we will probably all need a cool, comforting soft drink to keep our minds off the impending end times.